Miracle Camp and Retreat Center has recently partnered with True Vine Equestrian Center to bring Horse back Riding to Miracle Camp summer camps! 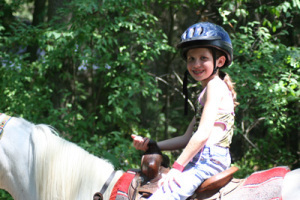 The horse back riding will be available during the two grade school camp sessions. The class will occur during the student’s elective activity portions of the day. Each student will receive an hour of riding and an hour of horse instruction.